We pass to Reader's hands third ILSS report already devoted to the analysis of regulatory process in the social policy and these economic areas, which determine directly social process (bring about social effects). Two previous reports (ILSS 1994 and ILSS 1995) were created under the influence of research carried out by ICDC UNICEF within the framework of MONEE project on the social costs of transition in Central and Eastern Europe. In 1996 ICDC UNICEF research again focused on issues related to children. Meanwhile, preparation of the reports on decisions in the social policy area in Poland has practically become the Institute's tradition. A lot of circles interested in these reports expected their continuation. To meet the expectations, we approached Andrzej Bączkowski, Minister of Labour and Social Policy to provide assistance in financing another report. Thanks to the Minister's application we received funds from Scientific Research Committee (KBN) to prepare this publication. 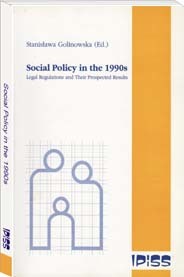 Thus, we are privileged to present to you fundamental decisions made in the social area in 1994-1996, which economically speaking, was probably the best period in this decade. The report was prepared by a team of ILSS employees supported by authors from other circles closely co-operating with the Institute. We would like to take this opportunity and thank them for good co-operation. The period under study was dominated by debates on sluggish reforms of the primary social policy areas such as social insurance, health care, family policy, decentralisation and public use. In health care reform directions, despite being controversial somewhat, have already been defined. The largest conceptual shortages are still in the area of educational reforms, particularly with regard to the underestimated in Poland influence of these reforms on dynamics and quality of future national growth. Political aspects of the reform process in a country with young democracy come to the surface not only as drivers, but also as barriers. We wish that reflections upon overcoming these barriers were the outcome of the report we submit to you. 9. Inflation in "Strategy for Poland"
2. Has the Privatisation Been Slowed Down? 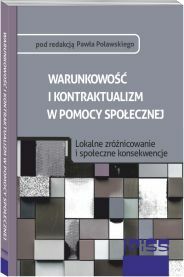 IPiSS, Warszawa 1998, seria "Occasional Papers"